What does the Samsung Gear do? 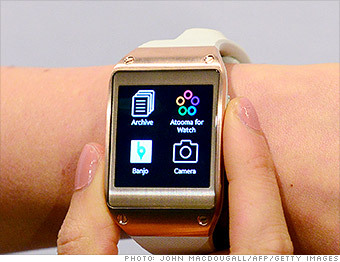 Samsung's first smartwatch does more than tell the time. Aside from delivering notifications, the heart of the Galaxy Gear's functionality will come from third-party developers who have teamed up with Samsung (SSNLF). Companies like Path, Line, Pocket and Runkeeper have all developed apps which can receive status updates and messages, translate text from news articles to speech, and report back on your physical activity.